If you are a fan of the characters from the action game Batman: Arkham Knight, then you might want to play some Puzzle & Dragons [Free] for the next ten days. 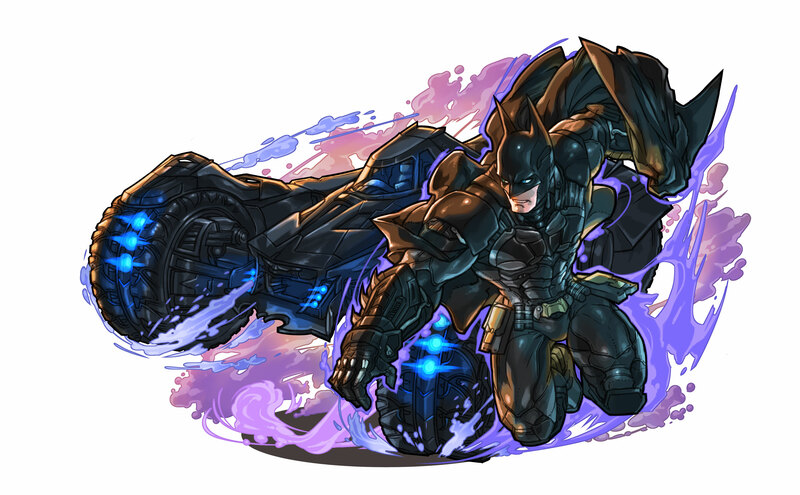 According to an announcement from GungHo Online Entertainment, from today until September 20th players of Puzzle & Dragons will get to enjoy plenty of content from the Batman: Arkham Knight game, one of 2015's biggest games (unless you happened to play it on the PC where it was pretty much unplayable). This crossover event includes The Arkham Knight and The Scarecrow as depicted in the Arkham Knight Game. Other characters from the Batman Universe that have already appeared in Puzzle & Dragons have been improved, and the Batman Collab Egg Machine now features six special characters, including a new version of Harley Quinn. This crossover event will also add new original music to the game, a new Gotham City background, five difficulty levels, including Mythical-level difficulty, two new Ultimate Evolutions for previous Batman collaboration monsters, new "swoop down" animation to evoke Batman's glide (I found this one pretty funny to be honest), and more. Sounds like this crossover is a treat for Batman fans, especially those who enjoyed the latest Batman video game. Just remember that this is a limited crossover event, so if you want to enjoy it, make sure you "swoop down" to the game between today and September 20th.